3.) Invite your friends to our join our event and get the chance to win our START-UP NEGOSYO Package. 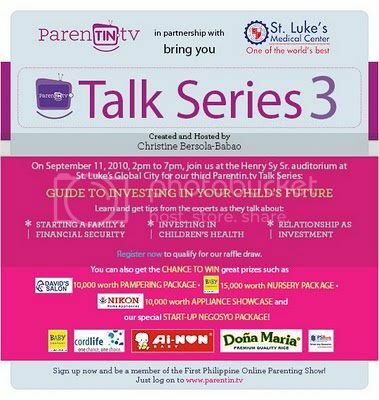 Check out my Parentin.tv Talk Series experience last year where I also modelled for Mommy Matters. 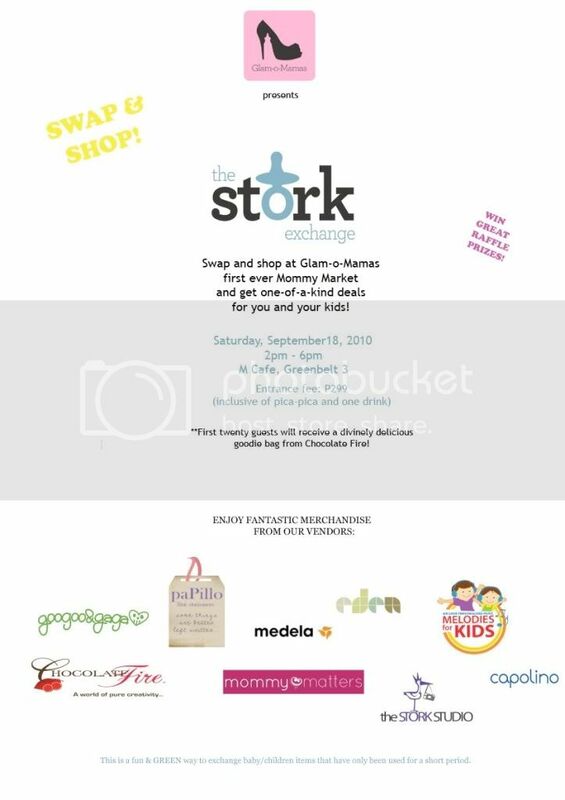 It was a very fun event and full of informative topics for mommies. I bet this one would be even more exciting! Second is Mommy Mundo's Moms on the Floor. 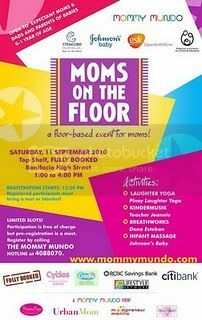 An event for mommies with kids 0-12 months old. Activities include yoga, KinderMusik, Breathworks and Infant Massage to be held from 1-4pm at the Top Shelf, Fully Booked, Bonifacio High Street. 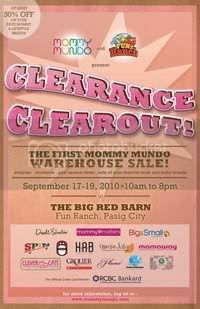 On the September 17-19, there will be a Mommy Mundo's clearance sale at The Big Red Barn, Fun Ranch Pasig City. It's just across Tiendesitas. Brands Dwell Studio, Big and Small, Mamaway, Mommy Matters and more will be up to 30% off. I'm not sure if I'm financially ready to do an early Christmas shopping yet haha. But for those who start theirs on the first BER month, it's a good idea to check this out. Check out their Facebook account for more details. On the same day, there will be a La Leche League meeting for breastfeeding moms and moms-to-be at Rustan's Makati Play Area at 10:30am. Register by sending an email to Ms. Abbie Yabot: abbievyabot@yahoo.com. Whew! Another jam-packed month. 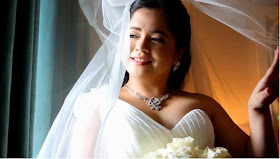 With all these events, isn't it exciting to be a mom? Do you want to get event updates straight to your email?